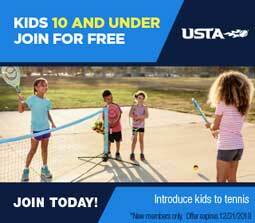 Our website is the official USTA Mississippi website. If you buy an ad for six months- you will receive a 15% discount in our Membership Calendar that is mailed out to every household where there is a member of the USTA. If you buy an ad for one year- you will receive a 25% discount in our Membership Calendar that is mailed out to every household where there is a member of the USTA. Upon securing your ad, you will receive a gift from the Mississippi Tennis Association. Your tennis events will be featured on our website and our Facebook page, upon request. Ad images will run on our website, www.mstennis.com and must be 255 pixels wide and no more than 200 pixels high. They will rotate approximately every 5 seconds. The USTA Mississippi Membership Calendar is printed each year and sent to every USTA member household. The calendar is filled with tournament dates, league championships, special events and information about all of our programs. You can purchase a month in which to advertise and you will also receive a free month of advertising on our website, www.mstennis.com. The cost per month is 750.00. If you are interested in advertising on our annual Membership Calendar, contact Reveland at (601) 981-4421 or revelandw@mstennis.com.